Another pretty quiet week for purchasing on my end, as I’m gearing up to purchase a very large collection. The Iroas pick up is consistent with my approach to purchase most of the Theros block gods at or around their lows as a long term holds. Merfolk made up 2 of the top 4 decks at GP Copenhagen this weekend, so picking up some staples from the deck seemed prudent. Darksteel Relic is an outsider spec based on a reported deck with Ensoul Artifact in Modern from Japan. The recent modern spikes have been very kind to those of us already holding deep portfolios of staples. 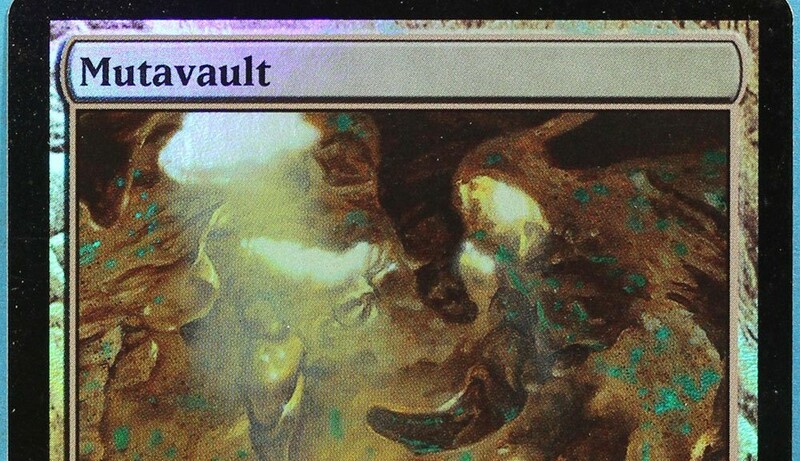 As you can see above, I’ve been able to continuously unload small clusters of cards from my collection through the use of the Pucatrade economy. Some of these cards (Sulfur Falls, Thicket, Academy Ruins) have some room to run, but I’m happy to lock in profits now in my pursuit of a larger deal. I’m now up to $1500 in Pucapoints and looking to complete a major transaction shortly. Editor’s Note: This was a play on the popularity of the Elves deck in Modern. “Risen Executioner was the pick of the week in a Brainstorm Brewery episode a while back. The Brew Crew thought the zombie lord was a good pick at its current price as the card has long-term growth potential from casual demand. The recurring zombie lord is also found in the sideboard of Esper Dragons as a hard to deal with threat brought in for grindy matches and the acquisition was also for my own use when I get back to playing Esper Dragons in Standard once the Modern PPTQ season ends. The Painter’s Servant was for a fun Tron build I’ve been itching to try out for a while. Check out this funky Tron/Through the Breach build by Tani Chiharu which top 4ed a 43-player Modern event in Tokyo: http://www.mtgtop8.com/event?e=9272&d=253286&f=MO. Ugin and Painter’s Servant do a good impression of Obliterate, except that I would be left with a mighty planeswalker. I’m still looking for a couple of pieces myself, so I have yet to try it out, but I think it’s probably going to be a fun deck rather than a deck I would bring to events. Here are my buys and reasons why. I think it’s floor is long gone so grab them when you can. Affinity is picking up in Modern so since this card wasn’t reprinted in MM2 he could double-up in a few months. I think you’re right the Chords won’t go any lower. You may have missed the floor a little on Ravager but I do agree there’s some upside there. Bought and traded for 25 tasigurs for $4-5. They have gone up almost $2 in less than 2 weeks! I think Tasigur is a *great* target right now at $5. My acquisitions this week were mostly miserable spike chasing (Glimmervoid), recommendations from Brainstorm Brewery (Jace/Thragtusk, pick of the weeks), or some cheap Standard stuff that was selling at buylist on eBay. I’m hoping the Dragonlords are coming back in the fall and maybe Dragon Whisperer and Warden of the First Tree find big gains after Eidolon of the great revel and Elvish Mystic rotate out. My sells are probably not the best idea… mostly modern stuff that I caught the back edge of the spike on and was able to sell now to lock in the profits. They’ll probably be going up steadily over the next season, but I needed to collect some cash to spec in Standard. I did decent on DTK (picked up on Den Protector, DL Ojutai, Dromoka’s Command, and Kolaghan’s Command at low pre-order prices) and so I’m (foolishly) confident on the upcoming Standard season.